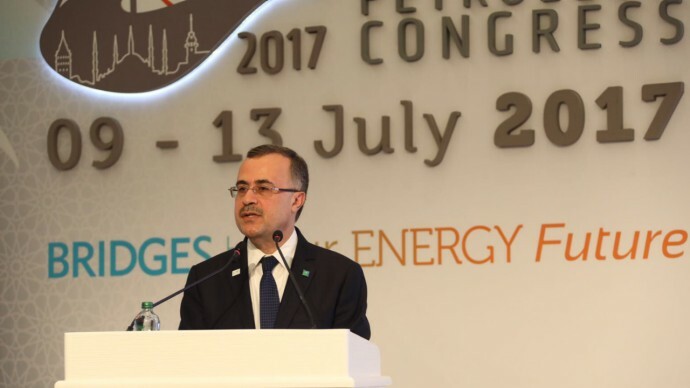 Speaking at the World Petroleum Congress in Istanbul, Turkey, the president and ceo of oil giant Saudi Aramco, Amin H. Nasser, said the role of oil as a vital source of energy is expected to continue in the long term, despite the growth of alternatives. He reiterated in a keynote address to heads of state, government ministers, and executives that new investments are crucial to ensuring global energy security. Nasser predicted a doubling in size of the world economy over the next 25 years, plus an additional two billion energy consumers. This will result in a lengthy energy transition that alternative sources such as renewables cannot adequately support. The volume of conventional oil discovered around the world halved over the past four years, compared to the previous four. This discovery shortfall could be the start of a cycle that may inhibit a future energy transition. Nasser identified three areas that can build resilience and discipline for the transition: available supplies; cost structure and portfolio integration; and emissions reduction. “Saudi Aramco plans to invest more than USD300 bn over the coming decade to reinforce our preeminent position in oil, maintain our spare oil production capacity and pursue a large exploration and production programme centered on conventional and unconventional gas resources,” he added.